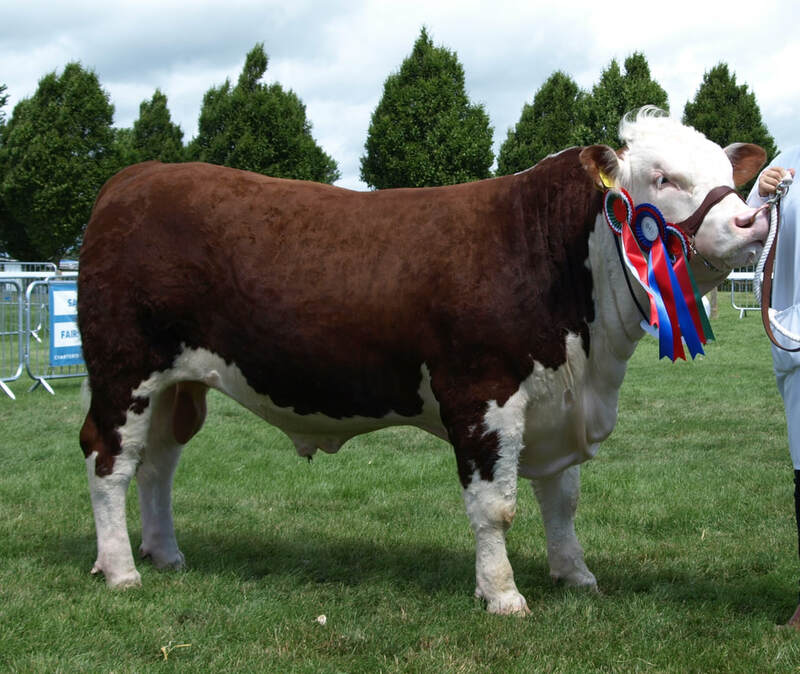 ​Breeding easy-calving, hardworking pedigree horned Herefords, ​with substance, soundness & style. 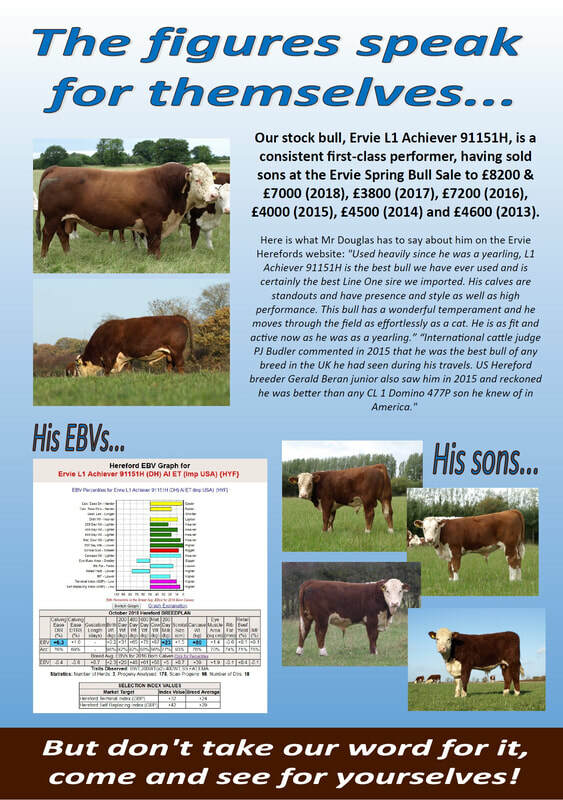 Our 2018-born bulls, sired by Ervie L1 Achiever 91151H, have above breed average EBVs for both terminal and self-replacing indices, and above average calving-ease EBVs. Bulls can be viewed and reserved for collection before turnout. 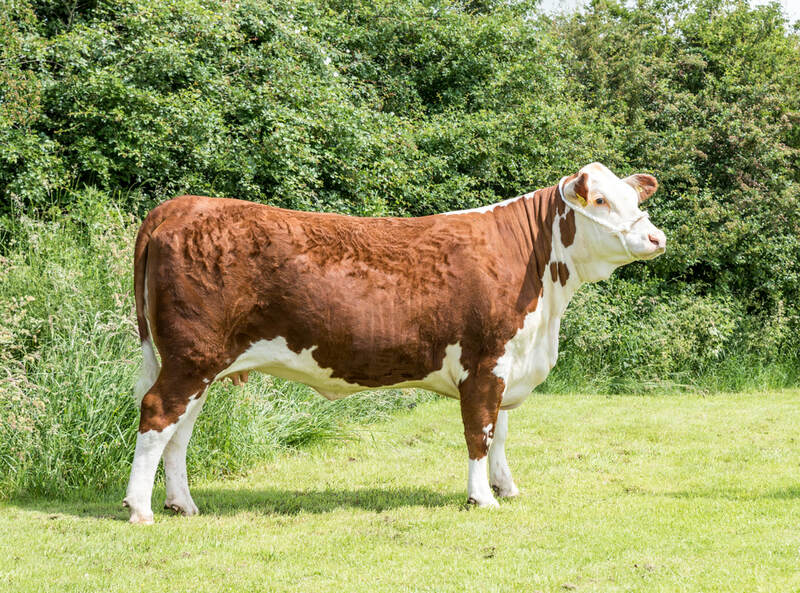 Established in 2009, our herd of horned Hereford cattle is based on many well-known breeding lines, that trace back to the Tarrington, Rowington and Wenlock herds. We have focused on producing feminine, fertile females, capable of rearing a quality calf easily, every year. We select for temperament, soundness, and ease of management. We joined the BREEDPLAN performance recording scheme in autumn 2013, and we are working to improve our EBVs over the next few years by selecting sound, well balanced bulls, with a set of good EBVs, that suit our system. We are also members of the Biobest HiHealth Herdcare scheme. We are accredited free from BVD, and have a Risk Level 1 for Johne's (four consecutive clear tests). All homebred animals have been tested free of IBR. We have some bought-in animals that are from a herd that runs a Leptospirosis vaccination policy, so we cannot achieve free status whilst these animals are on farm, however, all non-vaccinated animals have tested free from Leptospirosis. If you would like to view the herd, please call Simon on 07825 446321. Elwess Pumba at 15m old, sired by the same bull as Elwess Parody. Male Champion, Junior Champion, Reserve Supreme and Best Hereford at the Lincolnshire Show 2018. Elwess Lady Lydia L5 at 26 months. 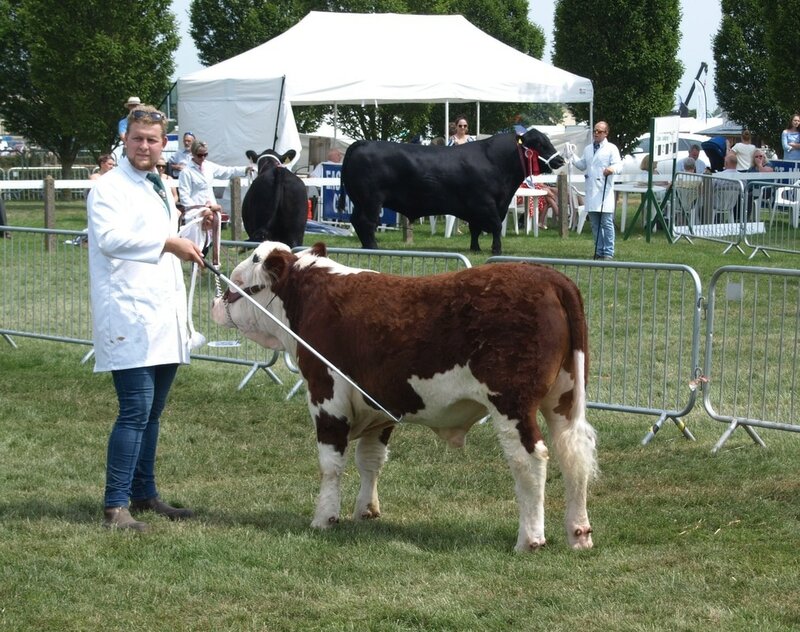 Reserve Female Champion & Best Hereford Lincolnshire Show 2015.